That's the key finding of ME Bank's latest Household Financial Comfort Report, which surveyed 1,500 people about how they perceived their own finances in the second half of 2018. The income report found income gains, easing living costs, increased cash savings and reduced overspending were key drivers in households’ rising financial comfort. But it warns "belt-tightening" could be a "bellwether" for slowing economic growth. ME Bank consulting economist Jeff Oughton says this is the first time since commencing the bi-annual survey ME has seen the comfort gap between property owners and renters closing. "The comfort gap between property owners and renters, as well as between very high-income earners and other income brackets, has narrowed," Mr Oughton said. Mr Oughton said the recent "correction" in house prices had been felt most keenly at the top end of the market. The recent "correction" in house prices has been felt most keenly at the top end of the market. Image by Tom Rumble via Unsplash. “We’ve seen a correction for wealthier, older property-owning Australians who’ve been riding the hot property and bull share markets for much of the past seven years, while middle and lower-income households have begun to benefit from an easing in living cost pressures and income gains. The latest CoreLogic data shows an almost 7 per cent drop in house prices nationally across the capital cities in the 12 months to January, with Sydney leading the way with the biggest decline at 10 per cent. But this hasn't seemed to have had a notable negative impact on households' financial comfort in those major capital cities and states, according to the report. 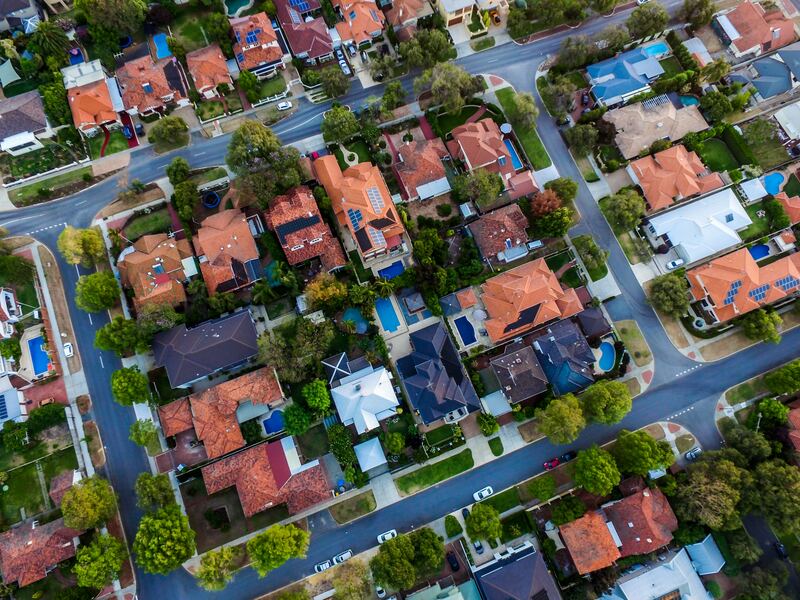 “Cooling housing and share markets haven’t yet dented the financial outlook of most Australian households, and many residential property owners remain positive. Only 13 per cent of homeowners and 11 per cent of investors expect the value of their properties to fall in 2019," Mr Oughton said. The overall financial comfort of households who own a home mortgage-free fell 3 per cent to 6.27 out of 10, its lowest point since the survey began. ME's report also shows Australians are tightening their belts and saving more, suggesting a level of anxiety about the state of the economy. Mr Oughton said a number of factors could explain this caution. "We're still seeing some geopolitical effects, with households concerned about the world economy up two points to 29 per cent," he said. 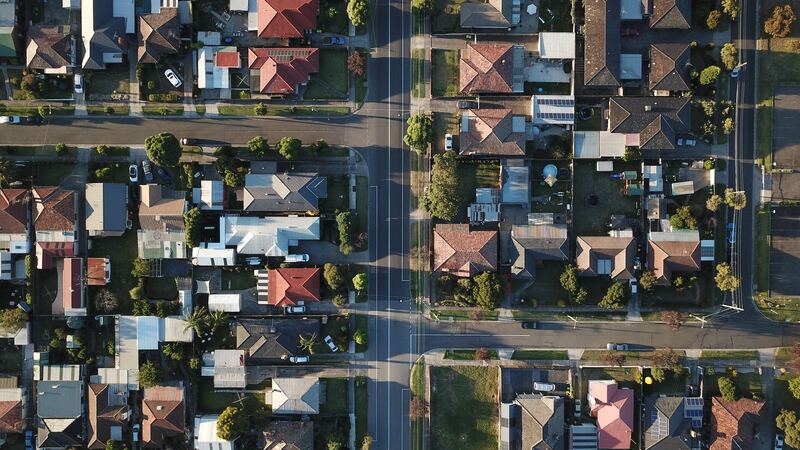 "Combined with domestic property and share market corrections, many Australians are beginning to tighten their belts to build financial resiliency." Despite this, Director of Marshall White Projects Leonard Teplin told WILLIAMS MEDIA those hoping to enter the property market with their first home are in a unique position to do so this year and will likely see increased support from their banks. "A confluence of various market factors has created a perfect storm that for a limited time, gives first home buyers a distinct advantage in the market. Those looking to buy off the plan will benefit from the stamp duty concessions implemented last year, while also facing less competition from conservative investors. Those hoping to enter the property market with their first home are in a unique position to do so. Image by Tom Rumble via Unsplash. "Established home buyers will reap the rewards of a recent 7.2 per cent drop in Melbourne house prices, meaning their money will go a lot further and they can look at upgrading to an extra bedroom or a nicer suburb with the same budget. "That said, the upcoming reforms will likely see even tighter lending restrictions for a while. Buyers will find it tougher to extend credit and take out a loan, however banks still want to lend and interest rates are historically low, so if your finances are in order it’s a great time to buy an additional home or upgrade. "Be prepared for more rigorous testing of your budget, with banks sifting through statements with a fine-toothed comb and weighing in on everything from Netflix and Uber Eats charges to family holidays." Mr Teplin says investors can expect to see a better yield on their properties than in previous years. "Heavy-handed intervention of regulators could cause some roadblocks for investors, however, banks will be eager to lend so as long as you have solid credit and equity. With a bit of patience, the payoff will be worth it."